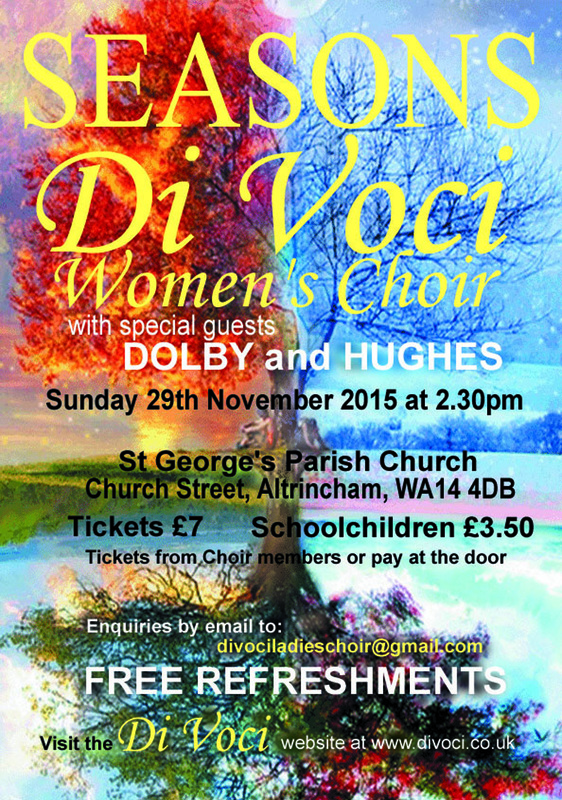 Watch Di Voci in performance with Lacuna women’s choir. December 2013. Conductor Lorraine Brown. Harpist Angelina Warburton. Soloists Jessica Pearson and Su Lewis. 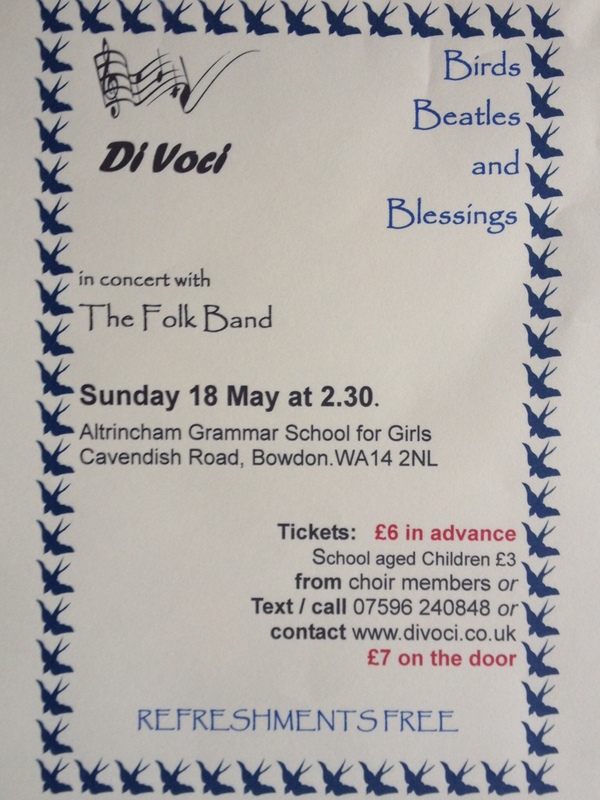 Join us for our annual summer concert – Sunday the 18th May at 2.30pm. 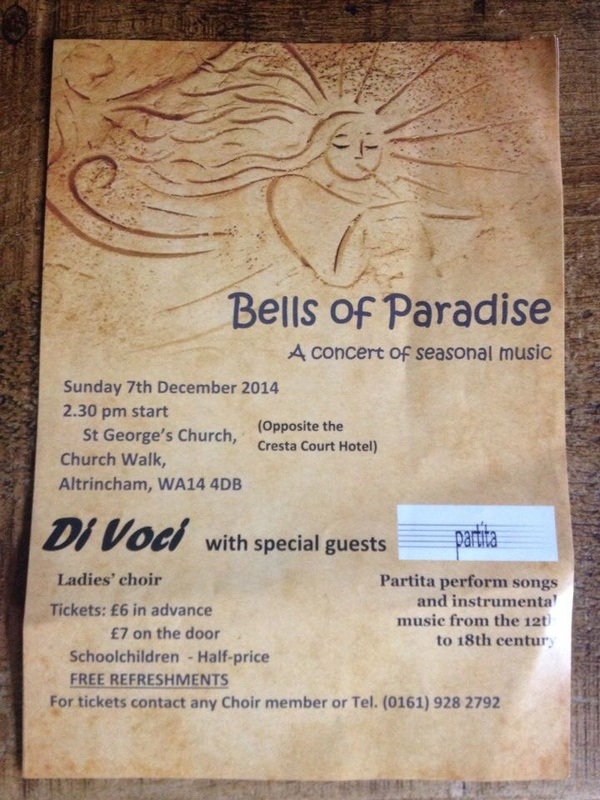 For the first time Di Voci will be performing at Altrincham Grammar School of Girls, with resident folk band Hay Lassies as guest performers. Tickets are £6 in advance (£3 for school age children) and £7 on the door. For further information on tickets please call 07596 240848 or message below and we will get in contact to discuss your request. 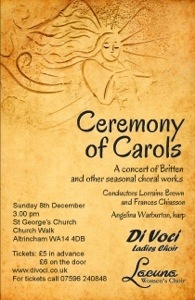 Di Voci are teaming up with Lancaster-based ladies choir Lacuna to perform Benjamin Britten’s gorgeous Christmas work, A Ceremony of Carols. 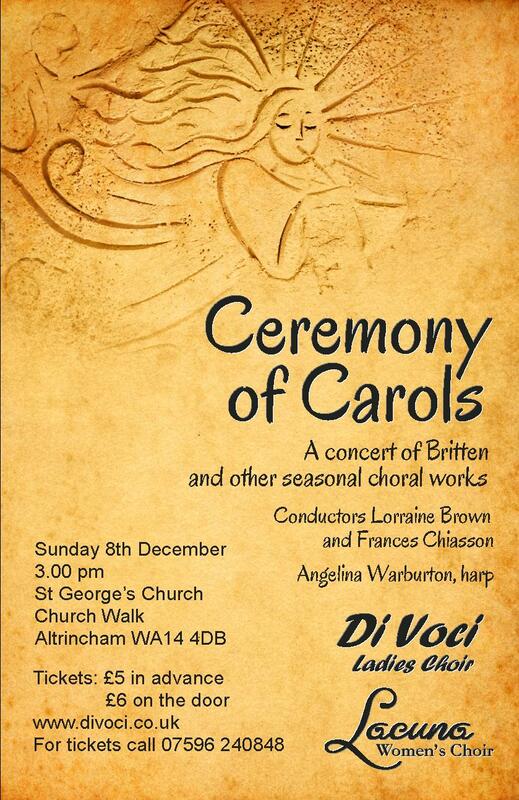 As well as the Britten, there will be a selection of seasonal favourites, so do come along and let Di Voci and Lacuna get you into the Christmas spirit!